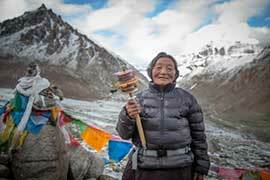 This year's International Mountain Day (IMD) theme is "Mountain Cultures: Celebrating Diversity and Strengthening Identity." In the run-up to this important day, ICIMOD is organizing a knowledge forum on a related topic at its headquarters in Dhapakhel, Lalitpur, on 9 December 2016. 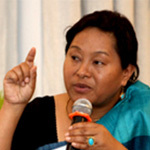 Dibya Gurung is the Coordinator of Women Organizing for Change in Agriculture and Natural Resource Management (WOCAN) in Nepal. She has over 20 years of experience on gender and social inclusion, rural development and natural resources management, ranging from the grassroots to policy planning levels. She has worked for UNDP and SDC in various capacities and with the government of Nepal. Kai Weise is an architect and urban planner, who has worked as a consultant for UNESCO mainly on world heritage management, earthquake response, and rehabilitation of cultural heritage. . 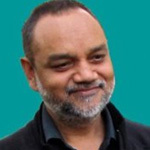 He is president of the Nepal national committee of the International Council on Monuments and Sites (ICOMOS). 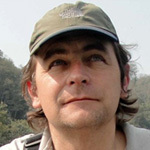 He is also a member of the International Scientific Committee on Risk Preparedness (ICOMOS-ICORP), the Swiss Society of Engineers and Architects (SIA), and the Society of Nepalese Architects (SONA). Mr Brij Mohan Singh Rathore is Chief Policy Advisor to ICIMOD with more than 30 years of experience in forestry, watershed management, rural development, environmental education, and landscape approaches to biodiversity conservation. As a Joint Secretary in the Indian Ministry of Environment, Forests & Climate Change, he was the focal point for the United Nations Convention on Combating Desertification (UNCCD), and represented India as Vice Chair on UNCCD CoP Bureau, and served as Chair of the Asia & Pacific regions. While working with UNDP, FAO, and WWF, he was engaged with countries of South Asia and the Asia Pacific in capacity building for biodiversity conservation and eco-development. For inquiry, please contact Sudas Sharma at sudas.sharma@icimod.org or +977-1-5003222 ext. 130.